Lymfe vloeistof: We hebben ongeveer 11 liter lymfe vloeistof in ons lichaam. Het zit rond alle cellen en de voedings en afval stoffen gaan hier doorheen van en naar het bloed. Het voert grote eiwitten en witte bloedlichamen door een eigen systeem af omdat deze te groot zijn om door de capillaire membraan te gaan. Daarnaast heeft het nog een aantal functies voor het immuunsysteem. Dr Perrin geloofd dat CFS/ME ontstaat door verstopping van het lymfe drainage systeem. Giftige stoffen blijven in de hersen met name de hypofyse en het ruggemerg en spieren zitten waardoor oa hormonale storingen ontstaan. Draineringsmassage veel bewegen, op en neer springen op een trampoline en supplementen moet helpen om de vloeistof beter door te laten stromen. The first thing to understand about your lymph system is its vast extent. Like the circulatory system that supplies blood, the network of lymph vessels serves almost every cell in your body. The lymph system’s primary function is to isolate infection and cellular detritus from the rest of the body and deal with it. Imagine you are looking at a handful of living cells through a microscope. A capillary (the smallest blood vessel) delivers blood with its oxygen and nutrients. The local cells use these nutrients and excrete waste. There may be pathogens or antigens present that create an immune response, leaving dead cells and perhaps live infection. Some of the blood and waste products are picked up by tiny veins. But much of the vascular fluid and waste — and hopefully all of the live infection — is picked up by tiny lymph vessels. This process is happening all over the body all the time. Stagnant lymph can also interfere with the system’s ability to cleanse more potentially hazardous concerns, such as bacteria and cancerous or diseased cells from organ tissue. Viral infections, bacteria, and cancerous or mutagenic cells move through the lymph fluid, where they are targeted and destroyed in the lymph nodes — when the system is adequate to the task. Most spleen concerns can be treated with an alternative protocol that includes a lot of rest, supplements, and supportive enzymes. As long as you are not endangering a swollen spleen with reckless activities, taking the time to heal it from the inside out is preferable to having it yanked. For a long time tonsils were treated with the same indifference (the lymph system just can’t get respect) — now it’s generally accepted that it’s healthier to keep them. In fact, I don’t think any organ in the body should be treated as disposable. That kind of thinking is based on the fractured Western paradigm. But of course, all systems of the body are interconnected! Think of it this way: if you didn’t have a road map or welcome signs, would the landscape show any hint that you’d just crossed a state line? Nature respects few manmade boundaries, and when it comes to the map of your body, this is evident in the overreaching web that connects organ tissue to the lymph system and the lymph system to the immune, circulatory, endocrine, and digestive systems. So, the GALT receives information from the microenvironment of the intestines in the form of which pathogenic agents get through. It then decides which of these deserve an allergic response, calling upon the immune and endocrine systems to facilitate. In this way, the GALT tissue becomes its own command center, which is one reason many practitioners call the gut the “second brain.” (For more on this topic, read The Second Brain, by Michael Gershon). In Europe, patients often receive a special massage called lymph therapy or lymph drainage before undergoing surgery. This method of treatment was popularized in the US by the Danish doctor, Dr. Emil Vodder, as an effective treatment for lymphedema. Practitioners believe that it significantly improves healing by readying the system for recovery. For more information, visit Dr. Vodder’s educational website. On an everyday basis, regular lymph massage (particularly around the abdomen, axillary nodes, and breast) can be great preventive health maintenance. There are many ways to practice lymph massage, and I recommend that you visit a certified massage therapist to learn more. However, there are some techniques you can try at home, and for those of you who are ready to try it on your own we will be offering brief instruction on lymph massage in the near future, so check back with us again soon. As you can see, the lymphatic system works steadily to keep you clean and well. The nutritional and lifestyle guidelines we offer at Women to Women will go a long way toward reducing the overall “body sludge” your lymph system must sweep away. In addition, we recommend the following steps to ensure that your lymph remains clear and unimpeded. Whether you have symptoms or not, every woman will benefit from these techniques. A regular nutritional detox and colon cleanse, supported by liver enzymes, will ease your liver and kidney burden, which in turn will decrease pressure on your spleen. Even a two–week Quick-Cleanse can do wonders. Investigate any food sensitivities or allergies that may be affecting your digestion. Take a medical-grade multivitamin to support your cellular function, digestion, and elimination. Look into probiotic supplements to help maintain a healthy ratio of intestinal flora. Experiment with a hypoallergenic diet for two weeks to cleanse your system of moderate food irritants. Deal with any troublesome GI issues, including parasites. Read our article on IBS and, if necessary, talk to your practitioner about relevant tests. Drink plenty of purified or filtered water — at least six to eight 8–oz glasses per day. Your body needs hydration to keep the fluids running! Get regular physical exercise. Jumping on a rebounder, or mini-trampoline, just five minutes a day is a great way to get your lymph system pumping. Walking, stretching, t’ai chi, yoga, Pilates, and other moderate activities are helpful, too — especially if you do them every day. Or find an activity that suits you. Some women prefer ballroom dancing, others swimming. What’s important is that you make it a regular and joy-inducing part of your life. Avoid restrictive clothing that press on your lymph nodes. Underwires and overtight bras, jeans, and skirts can impede lymph flow. Try to go bra-free for at least 12 hours a day, and don’t sleep in one. If this is uncomfortable for you, consider buying a stretchy camisole. Consider acupuncture. Chinese medical doctors are far ahead of their Western counterparts when it comes to “unsticking” the lymph system. As a treatment or preventative, acupuncture can be a great way to keep things moving. It can also help alleviate discomfort that may arise while you are detoxing. It is estimated that your body has more than 100 million different kinds of antibodies, each one custom-built to identify a particular pathogen. If your body is exposed a second time, no symptoms occur because the organism is destroyed quickly- you are now immune to that particular pathogen. Water, fruit en groenten voor de drainage. Drink veel water. Zonder voldoende water kan lymfevocht niet goed stromen. Als je onvoldoende hoeveelheden water per dag drinkt, zal uw lymfesysteem vertragen. De enzymen en zuren in rauwe groenten zijn krachtige lymfe reinigers, met name wanneer deze gegeten wordt op een lege maag. Voeg meer rauwe groenten, fruit, salades en verse sappen toe aan uw dieet en je lymfe zal het instrumenten worden wat je nodig hebt voor een diepe reiniging. Flavonoïden, appelzuur, citroenzuur, chininezuur en enzymen in cranberries en cranberrysap helpen om hardnekkige vet in het lymfestelsel te emulgeren. Zorg dat je alleen pure, ongezoete cranberry sap vrij van zoetstoffen drinkt - gepasteuriseerde flessen cranberrysap hebeben niet dezelfde voordelen. Verdun het sap in een verhouding van ongeveer 4:1, water /cranberrysap. Als u liever een minder zure sap heeft, verdun 1 deel ongezoet cranberrysap met 2 delen puur appelsap en 2 delen water. Zorg ervoor dat u alleen puur appelsap drinkt zonder zoetstoffen of conserveringsmiddelen. Eet veel groene groenten.Die voorzien u van chlorofyl (de groene kleur in planten) en tal van vitaminen en mineralen die helpen bij lymfe reiniging. Voedingsmiddelen rijk aan essentiële vetzuren zijn essentieel om een goed functionerend lymfe-systeem te waarborgen. Sommige van deze voedingsmiddelen zijn lijnzaad en koud geperste lijnzaadolie, verse, rauwe noten en zaden, zoals walnoten, amandelen, hazelnoten, zonnebloempitten en pompoenpitten, avocado's en koudgeperste oliën, zoals walnoot en pompoenpitten. Zorg ervoor dat u verse, rauwe noten en zaden koopt van het gekoelde gedeelte van uw lokale gezondheids voedselwinkel of supermarkt. De essentiële vetzuren in noten en zaden worden snel ranzig. There is a new medical perspective emerging in the world today: Disease and aging are intimately related to the acid/alkaline balance (pH) of the fluids in our bodies. Virtually every degenerative disease from cancer, osteoporosis, heart disease and arthritis, to skin problems, tooth decay and joint pain is associated with excess acidity in the body. We are comprised of approximately 70% water. Water is comprised of hydrogen and oxygen [H2O]. When there is an equal proportion of oxygen (O-) and hydrogen (H+), then the pH [potential hydrogen] is said to be neutral and the pH is 7.0 as measured on the pH scale that ranges from 1 to 14. If there is more oxygen than hydrogen the water is alkaline and will measure between 7.1 and 14. If there is more hydrogen than oxygen the water is acidic and can range from 1.0 to 6.9 on the pH scale. Most importantly, the pH scale is logarithmic, which means that each step is ten times the previous one. Therefore, a pH of 7.0 means that there is ten times more oxygen available to the cells than a pH of 6.0 and 100 times more available oxygen than a pH of 5.0. A small variation in pH measures a rather large difference in the balance between oxygen and hydrogen. Everyone knows we need to provide our lungs with adequate amounts of oxygen to sustain life. We now understand that the water in our bodies also needs adequate amounts of oxygen to resist disease and maintain health. The ONLY way to increase the amount of oxygen in our body “water” is to raise the pH level and provide the system with the optimum amount of oxygen. MMP Primary & Trace Minerals can raise your lymph pH to its naturally healthy level of 7.4 and create an environment for the body to heal itself and to attain that cherished condition called Super Health. Now we’re getting somewhere. But how do you raise the lymph pH? How do you measure it? And what is lymph anyway? 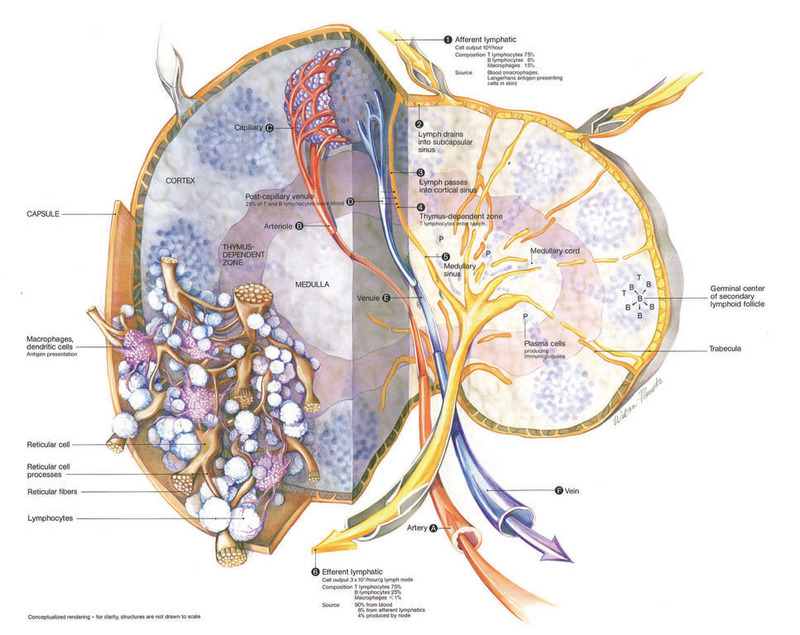 To get a sense of how this works, it is important to understand more about our Lymphatic System. 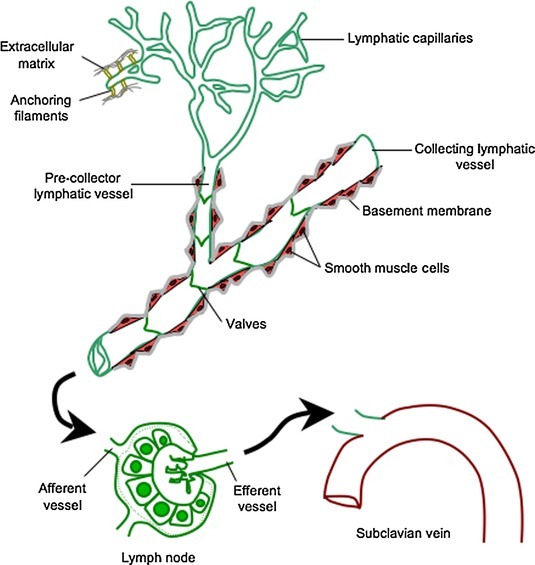 The Lymphatic System is a complex set of fluids, organs, cells, and lymph nodes positioned throughout the body forming a circulatory system that operates in close partnership with blood circulation. This system is the conduit for the lymph. The word “lymph” in Greek means a pure, clear stream. When you are Super Healthy, your lymph is indeed a pure clear stream with a pH of 7.4 flowing through the body quickly and efficiently, clearing infection, disease and acidic residue. The cells, organs and tissues of the body are bathed in this oxygen rich, slightly alkaline lymph fluid creating the BIO-ENVIRONMENT within which they exist. A 150 pound adult has approximately 22 pounds of lymph. Lymph with a pH of 7.4 provides a nurturing, supportive environment, supplying all the oxygen required for vibrant heath. Just as we need oxygen available in our external environment to live, we also require oxygen available in our internal environment to thrive. Unfortunately, due to diet and the lack of nutrients in the foods we eat, the average American adult has a lymph pH of 6.2. Remember the pH scale is logarithmic. Therefore, a drop in pH from 7.4, which is where we start as children, to an adult average of 6.2, means there is a 94% decrease in the amount of available oxygen in the lymph. Imagine living in an environment that provides only 6% of the oxygen you need. Not a place where you would want to live. Well, that is exactly the kind of internal environment we have created inside our bodies. No wonder degenerative disease and premature aging are on the rise. As the lymph becomes too acidic, fungi and bacteria spontaneously develop and grow. When they reach the lymph nodes they can clog the nodes, preventing proper function. As the accumulation of waste piles up in the lymph, a semi-opaque web of dark matter begins to form. At this point, not only is the lymph acidic, oxygen depleted and growing microorganisms, it also flows poorly. Unlike the heart, the lymph does not have a pumping mechanism that can force it to flow. It relies on bodily movements to advance the lymph in the Lymphatic System. As waste accumulates, the lymph becomes stagnant and the growing microorganisms are dumped into the blood stream, compromising our immune system. We become susceptible to external microbes and viruses and find ourselves “catching” every “bug” that floats by. With an acidic system and our immune system compromised we are also at risk of developing a degenerative disease. Scary stuff, indeed. MMP Primary and Trace Minerals with the accompanying nutrients were designed to restore the lymph to its naturally alkaline state. It is an easy matter to measure the pH of foods before eating it, either with pH strips or with a pH meter. However, once digested, foods do not always have the same pH. A healthy stomach digests food by first decomposing the food with the digestive enzymes. Then the stomach secretes a strong hydrochloric acid that continues to decompose the foods. After approximately 45 minutes, the food passes into the small intestine and there, an amount of bile is injected into the food by the gall bladder. This bile is strongly alkaline to neutralize the stomach acids. Next, the food travels slowly through the small intestine and various nutrients are extracted from the food and introduced into the blood stream. From there, the nutrients go into the cells and are processed to supply energy and building materials for repairs to the body. Over time, the cells release the residue of the consumed nutrients and this residue re-enters the blood stream. It is the pH of this residue that is the focus of the MMP regimen. From the time the food grows, either as vegetable or animal, to the time its residue is released by our cells into the blood stream, the pH can fluctuate considerably. Generally, the fresher the food, the more alkaline it is, and it becomes acid as it ages. Beef is aged for several days before consumption and is the most acid food that we eat. By comparison, chicken can be eaten fresh and often has an alkaline residue depending on how the chicken was raised and how it is prepared. Organically raised chicken that haven’t been subjected to external stresses such as caging, generally have a more alkaline residue than mass produced chicken that are loaded with antibiotics. Fermented foods, however, should not be considered as being aged, because they contain live bacteria that are continuously changing the structure of such foods during fermentation. As it happens, fermented foods will usually test very acid before eating but after processing by the cells will have a residue that is only weakly acid or even alkaline. This is the basis of the macro-biotic diet that promotes eating living foods of all kinds. Live foods usually have an alkaline residue, while the same foods after sitting for weeks in the vegetable bins of chain stores have a greater tendency to have an acid residue. The important point is: the more alkaline (or less acid) a food is, the more sensitive it is to aging. Therefore for maximum benefit it is best to consume fresh alkaline foods. The most accurate list of acid-alkaline residues of foods can be found in the book “The pH Miracle” by R.O. Young and S.R. Young. Of course, our modern diet and lifestyle creates quite a challenge to consume fresh alkaline foods. Thus we see the national adult average lymph pH of 6.2. By Restoring Nature with MMP SOLUTIONS, you will be able to counter this dangerous trend and reestablish your alkaline balance (even if you don’t change your diet). Our bodies are designed to absorb the minerals we need from the food we eat. Unfortunately, due to environmental pollutants and soil that is nutrient deficient this has become a huge challenge. Even if one is very strict and diligent about changing one’s diet and eating only high quality organic foods, you would have to eat enormous amounts in order to get sufficient minerals to support a slightly alkaline environment. The secret to re-alkalizing the lymph is mineral absorption. MMP is the SOLUTION! One serving of MMP Primary & Trace Minerals provides more Alkalizing potential than 4 pounds of high quality organic vegetables. The fundamental alkalizing agents of calcium, magnesium, potassium and sodium as carbonates and bicarbonates. Three times as much calcium as the most popular Coral Calcium capsule supplements. The proper 2:1 ratio of Calcium : Magnesium. Hydrochloric Acid - [HCl] is the only acid that our bodies produce. It is an active ingredient of our digestive system. Secondary to digestive enzymes HCl’s function is to break down food in the stomach. It is the first line of defense against various destructive microbes that enter the stomach. Many people have insufficient amounts of HCl which results in digestive problems such as acid reflux and poor absorption. Also, after the age of 40, HCl production begins to decline. Lack of HCl combined with lack of properly balanced minerals are the root cause of why the adult pH has declined to an average of 6.2.
pH is afgeleid van het Latijnse potentia hydrogenii en betekent: “werkzaamheid van de waterstof”. Supplementing with minerals is a stronger way to balance body acidity. A study comparing calcium citrate and calcium carbonate supplementation in postmenopausal women found that calcium citrate decreased markers of bone breakdown both in blood and urine, whereas calcium carbonate did not. Otherwise, their performance was similar in improving bone health. Sodium bicarbonate has been studied extensively with mixed results. Potassium citrate has shown positive results. In one study, women with osteoporosis given potassium citrate had increased bone density significantly after a year- something very difficult to achieve! It's important to follow the recommended doses on labels because it's possible to get too much potassium. If calcium is a concern because of kidney stones, potassium citrate is a great alternative. Minerals reduce acidity and give your body's buffering systems a break. Systemic alkalization has been shown to help with osteoporosis, asthma symptoms, brain damage after stroke, preventing kidney stones, cancer , and other conditions. Much more research needs to be done. Maintaining the correct acidity/alkalinity (or pH) of the blood is an essential part of good health. Acidity and alkalinity is determined by the concentration of hydrogen ions - the lower the pH, the greater the acidity and the greater the concentration of hydrogen ions. It is important to realise the pH scale is a logarithmic one. This means that the difference between a pH of 7 and 4 means a thousand fold increase in hydrogen ions. Such a shift would have a massive effect on biochemical processes, most of which are exquisitely sensitive to pH changes. For normal metabolism, the pH of the blood is tightly controlled by the lungs and the kidneys. In the short term the lungs compensate where there is a tendency to acidosis by slowing breathing so retaining carbon dioxide and increasing bicarbonate, and with that pH. In the medium term the kidneys compensate - where there is acidosis, we pee out acid. An acidic body means we cannot release glucose from the liver, nor can we make use of sugar in blood and muscle (glycolysis is inhibited). So mitochondria are further starved of energy and the sufferer craves carbs, feeling ghastly when he does not eat. Acid urine strips out minerals so we lose minerals too easily. Acidic urine is a risk factor for osteoporosis. Plasma potassium levels may rise. Hyperventilation will worsen any tendency to acidosis because it washes out carbon dioxide, and therefore bicarbonate, from the blood. I suspect there is another effect on muscles. To understand this, think how muscles work. There are two important protein components, namely actin and myosin. They interact like little men rowing a boat. The actin oars are dipped in the myosin water and pull, so shortening the muscle fibre. The oars are lifted out and take another bite of water so the muscle filament is ratcheted shorter. This process depends on the oars being alternately sticky and then letting go. This is depended on electrical forces. One moment there is attraction and stickiness, next repulsion to let go. These electrical forces are controlled by electrons and protons, i.e. pH is vital! If the pH is wrong, the oars are too sticky, do not let go of the myosin and there is muscle damage. I suspect this acidic tendency clinically is associated with sore muscles, muscle cramps, spasms, tics and restless legs. Once started on magnesium carbonate, many people comment that their early morning stiff muscles are much improved! One of the biochemical problems that John McLaren-Howard has identified is a tendency for calcium to build up inside cells. The cells try to tuck it out the way by sticking it on to calcium containing proteins, such as calmodulin, calcium-actin or CaATPase. This is OK in the short term, but eventually these mechanisms become saturated, free ionised calcium rises and inhibits many of the mechanisms for energy production in the cell. This calcium is not responsive to magnesium administration, so what to do about it? We honestly do not know! BUT calcium and hydrogen ions are intimately related and the optimist in me is hoping that an alkaline environment will help correct the biochemical abnormalities. Watch this space! Easy and cheap. You simply measure urine pH with litmus paper. The idea is to get the pH between 6.5 and 7.0. Water has a neutral pH of 7.0. Adjust the body's pH with judicious doses of magnesium bicarbonate starting with 1-2 grams at night, but see below! You do not want to upset normal stomach acidity at the wrong time! This is a vital part of sterilising the gut, providing the correct pH for digestion and absorption of food and minerals. We need an acid stomach (pH 4 or below) to kill off the acid sensitive bugs. This acidity also digests protein and controls the emptying of the stomach. Food remains in the stomach for 1-2 hours, then empties into the duodenum. Here we need an alkali environment (pH 8, i.e. a 10,000 fold decrease in hydrogen ions) to kill the alkali sensitive bugs, and allow pancreatic enzymes and bile salts to work to digest fats, carbohydrates and some proteins. Normally, the liver produces this bicarbonate but can only do so if it has the raw materials to play with. Thus by manipulating the pH in the gut we protect ourselves from infections - something which many CFSs are not good at! Many are helped by taking acid with meals, such as ascorbic acid or betaine hydrochloride. We can help the body further by taking magnesium carbonate to neutralise this acid 1-2 hours after eating food. It is important not to take the magnesium bicarbonate with food or the gut function will be upset. You can check that you are somewhere near by measuring urinary pH. Do not overdose with magnesium carbonate or you will run into problems of being too alkali. You do not have to be too accurate as the body is very good at compensating so long as it has the basic raw materials to do so. A traditional remedy is sodium bicarbonate. The problem is this produces a sodium load which, with Western diets, we are already overloaded with. Magnesium carbonate is a good option because magnesium deficiency is common, and magnesium is all too easily excreted. Often people report improved bowel function as a result of the additional magnesium. and may represent an easy and safe addition to the usual treatment of RA patients. Keywords: Pain, rheumatoid arthritis, acid-base balance, beta-endorphin.
. The level of disease-associated pain may also be dietrelated. score and plasma ir-EP concentration . parallel trial over a period of three months. patients in both groups are shown in Table 2.
adjusted but had to be recorded. cardiac, dermal, ocular, and nervous system involvement). separate the bound and free fractions. morning urine with pH paper strips by the patients themselves. period thus indicating adherence to the supplement. (range: 3.6-6.9); this difference is statistically significant (ttest). B: p = 0.001, C: p = 0.037; mean ± SEM. whereas no change was seen in the control patients (Fig. 3). groups; A: p = 0.049; mean ± SEM. of the respective group; a: p = 0.016; b: p = 0.018, c: p = 0.045. Significant differences between groups; A: p = 0.043; mean ± SEM. according to the Fisher´s exact test (p=0.014). diet (increased intake of vegetables and fruits) or from supplements. in improving the symptoms in RA patients. the disease by itself was not influenced by the supplementation. changes in blood pH . influence the severity of the disease itself. EP levels following several weeks of alkaline supplementation.